Donovan started his nursing career as a theatre nurse before moving into midwifery, becoming interested in teaching and research. Continuing to maintain clinical currency as a registered midwife/nurse at the John Hunter Hospital, Donovan has been involved with the Bachelor of Midwifery program at University of Newcastle as a lecturer since 2010. With the current position of deputy program convenor actively involved in the development of new curriculum starting in 2016 for the bachelor of midwifery at the University of Newcastle. As an early career researcher Donovan continues research for his PhD “mindfulness, fathers emotional well being during the perinatal journey into parenthood”. As a member of the Hunter Medical Research Institute HMRI and BRICS nursing and midwifery research network Donovan is also involved with research teams currently researching, writing articles and grants for various research projects in the areas of perinatal mental health, teaching and learning innovations and men’s health primarily looking at fathers and improving the wellbeing of families. Research interest: My research focus is on perinatal mental health and psychosocial interventions that are used for both pregnant women and their partners, more specifically male partners. In Australia, mental health problems carry the highest burden of disease in 18-25 year olds, with males representing 23% of those affected. Research studies indicate that young men entering fatherhood encounter multiple emotional risk factors. Young fathers have been demonstrated to be as vulnerable to depression and emotional issues as young mothers, with a significant correlation between younger age and level of risk. Pregnancy presents a unique opportunity for health professionals to engage not only with the mother-to-be but also the father-to-be, in programs that can have a positive impact on the family unit throughout the child-rearing years. Recent studies postulate significant links between the involvement and support of fathers and reductions in maternal anxiety and depressive symptoms in the postnatal period and beyond. Midwifery and mental health: My PhD research project commenced early in 2015 targets the emotional wellbeing of fathers during their partner’s pregnancy through participation in mindfulness classes. The project will evaluate the effectiveness of the mindfulness intervention utilising a mixed method research design collecting quantitative data pre and post intervention and focus group data post intervention. Data will provide the basis of further translational research and applications for funding for interventions to support young men about to become parents. © 2019, Slack Incorporated. All rights reserved. Background: Recognition of the importance of a supportive academic and clinical learning environment for nursing and midwifery students enrolled in health care programs is not new. However, the factors that influence social connections within these environments and the consequences for students¿ learning are not well understood. Method: This study used a multisite mixed-methods design to examine students¿ learning experiences. Results: Participants stated that to develop a sense of professional connectedness, opportunities are needed to develop meaningful relationships with academic staff and peers through increased face-to-face on-campus learning experiences, as well as through off-campus contexts. Conclusion: To enhance nursing and midwifery students¿ sense of connectedness, the balance between online and face-to-face learning experiences needs to be reexamined, and a renewed focus on the development of quality clinical learning experiences that foster a sense of belonging also is needed. © 2018 Within the last decade, there has been significant change in the way tertiary midwifery education has been delivered to students. The use of blended teaching methods and the introduction of simulated learning experiences has been observed in the literature to improve students¿ self-confidence, competence, clinical judgement and decision-making abilities. Simulation is seen to be particularly important when practising skills that may be infrequently encountered in practice, such as clinical emergencies. Neonatal resuscitation is the most common neonatal emergency encountered within midwifery today, with up to 15% of babies requiring some form of resuscitation at birth. Recent research describes the benefits of using a multi-modal approach to teaching neonatal resuscitation, utilising both theory and simulated learning methods. 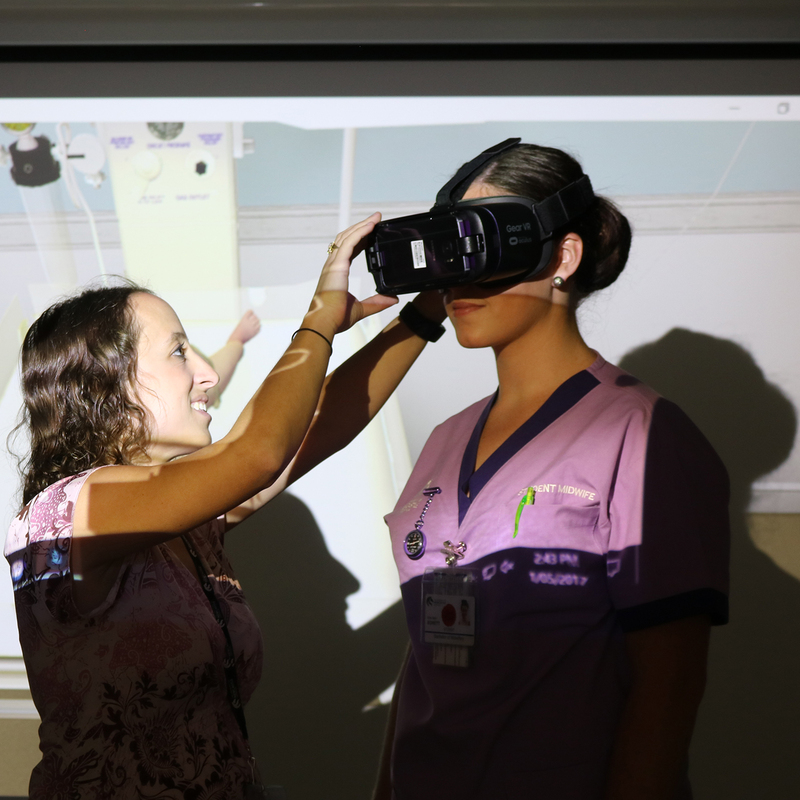 One emerging method of simulation is that of virtual reality (VR), which has been recognised for its enormous educational potential in risk-free clinical skills training. Currently, however, there is limited research looking at the use of VR in emergency skills training. This article examines the literature to highlight the potential benefits that VR simulation could provide for emergency skills training, as well as the potential challenges that should be acknowledged. © 2017 MA Healthcare Ltd Background Both men and women can experience depressive or anxious episodes when transitioning to parenthood. Mindfulness interventions are one way to teach men coping strategies to manage these feelings. Aim This integrative review examined original research, evaluating mindfulness as an intervention for men during the perinatal period. Methods A comprehensive search resulted in 157 articles. After applying defined inclusion and exclusion criteria, 2 original research papers remained. Thematic analysis identified five themes, the first three of which were discussed in Part I of this article. Findings Mindfulness based stress reduction strategies for men have been shown to be effective across a range of health issues, although there is little research during the perinatal period. Research suggests that men engaged in mindfulness based stress reduction in the perinatal period experienced better regulation of emotions and stress, and felt more present for their pregnant partners. Conclusions To improve men¿s wellbeing, innovative ways of providing perinatal mindfulness based stress reduction are needed. New or adapted mindfulness based stress reduction programmes are needed to improve men¿s awareness, empathy, self-esteem and psychological wellbeing to better support their pregnant partners. © MA Healthcare Ltd.Grant: This research received no specific grant from any funding agency in the public, not-for-profit, or commercial sector. Background Men are as likely to suffer stressors associated with pregnancy as their pregnant partners, but are less likely to receive support. Mindfulness interventions are a possible way to enable men to manage and reduce stress that may provoke anger and depression. Aim This integrative review examined original research into using mindfulness as an intervention for men during the perinatal period. Methods Using the question, &apos;Can mindfulness based stress reduction reduce stress in men with pregnant partners during the perinatal period?&apos;, a comprehensive search retrieved 157 articles. Following defined inclusion and exclusion criteria, 2 original research papers were included in the review. Thematic analysis identified five themes, the first three of which will be discussed here. Findings Research suggests that men engaged in mindfulnessbased stress reduction during the perinatal period experienced improvements in regulating emotions and handling stress, as well a deeper sense of connection with their pregnant partner. Conclusion To improve the wellbeing of men with pregnant partners, mindfulness-based stress reduction techniques are needed to help men to improve psychological wellbeing and better support their pregnant partners. © 2016 Australian College of Midwives Background National statistics related specifically to the mental health of women in the perinatal period is poorly acknowledged in Australia. Maternal deaths related to mental health in the perinatal period can be attributed to a lack of appropriate treatment and/or support. A barrier to women&apos;s help-seeking behaviors is the lack of discrete, perinatal specific interventions where women can self-assess and access support. Aim This review examines original research evaluating perinatal mental health interventions used by women to improve mental health. Method An integrative literature review was undertaken. A comprehensive search strategy using 5 electronic databases resulted in the retrieval of 1898 articles. Use of an inclusion and exclusion criteria and Critical Appraisal Skills Program tools resulted in 4 original research papers. Thematic analysis identified universal themes. Findings Cognitive Behavioral Therapy, Behavioral Activation and Mindfulness-based interventions, specifically adapted to meet the needs of women in the perinatal period, demonstrate an overall improvement in mental health. Women involved in the interventions experienced both improvements in symptoms of anxiety and depression as well as secondary benefits from participating in the research. Conclusion To improve perinatal mental health outcomes, innovative modes of providing effective perinatal mental health interventions that address the unique needs of women in the perinatal period are needed. Future development of perinatal mental health interventions require adaptions of Cognitive Behavioral Therapy, Behavioral Activation and/or Mindfulness-based methods to address mental health outcomes for women in the perinatal period. Currently an online pilot project is underway through the University of Newcastle examining the benefits of an online mindfulness program for men with pregnant partners at www.mindfulnessfordads.com. In Australia, mental health problems carry the highest burden of disease in 18-25 year olds, with males representing 23% of those affected (Australian Institute of health and Welfare [AIHW] 2011). 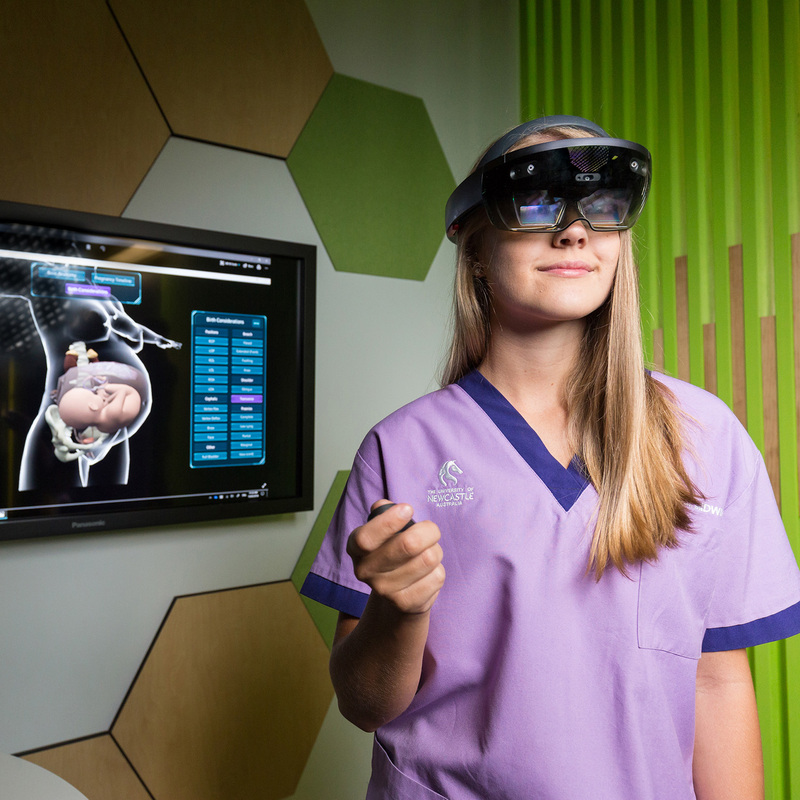 Virtual reality set to advance human health through innovative midwifery project at UON.